While the rest of the country gets ready for cooler temperatures over the next couple months, we have a fair amount of warm weather left in the season. While you’re using your air conditioner over the next few months, it’s important that you keep an eye out for any signs that the system is developing a problem. There are a lot of different symptoms that can indicate a developing issue with your system, far too many for us to cover them all here. 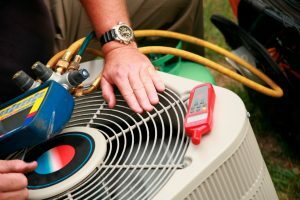 Still, let’s go over some of the more common signs that your air conditioner is struggling with some sort of problem, so you can call for repairs as soon as you notice any of them. Summer is heating up, which means more strain on your air conditioner. More strain equals more wear and tear, which means more opportunities for new problems to develop or old problems to get worse. Even if you scheduled preventive maintenance for your air conditioner this past spring, you still need to be on alert for any possible signs of problems developing in the system. The faster you can have the issue repaired, the better off your system will be. Have a look at three of the more common air conditioning problems you may run into below, and their warning signs. It may seem warm now, but summer is still on the horizon. The days are going to continue heating up for a while, which means you’re going to be using your air conditioning system much more often. All that added use is going to put more strain on the system, which means problems are going to be much more likely to occur over the course of the summer. Part of making sure that your air conditioner stays in good shape is catching problems as early as possible. The best way to do that is to make sure that you know the warning signs that the various problems give off. Let’s have a look at some of the most common problems that can afflict air conditioners, and the warning signs they give off. As summer wears on, you should be on watch for any problems that your air conditioner might run into. One of these problems is short cycling. If it isn’t taken care of quickly, short cycling can completely destroy your air conditioner years before it is supposed to be replaced. Let’s take a look at why short cycling happens, and what it can do to your air conditioner. Do you change the air filter in your air conditioner every few months? Did you even know that your air conditioner had an air filter? The air filter is actually one of the most important parts of your air conditioning system, and it also happens to be able to cause one some of the biggest problems. Read on to find out why your air filter is so important. Going through a Florida summer without a functioning air conditioning system is not a pleasant thought. So, it can be more than a little alarming if your air conditioning system seems to be losing output right when the days are starting to warm up. If your air conditioner isn’t cooling your home as much as it should, there are a couple possible reasons why. Let’s take a look at those reasons now. Do You Think Your Air Conditioner May Have a Refrigerant Leak? Posted in Air Conditioning | Comments Off on Do You Think Your Air Conditioner May Have a Refrigerant Leak? What Makes Air Conditioning Repair Different from Heat Pump Repair? If you’ve ever had the operation of a heat pump explained to you, then you’ll know how similar it is to an air conditioner. Essentially, a heat pump works the same as an AC—it cycles chemical refrigerant through an indoor and outdoor set of coils, absorbing heat along one coil and releasing it from the other—but with the major difference that a heat pump can change the direction of its heat exchange. An air conditioning system can only remove heat from indoors and deposit it outdoors; a heat pump can also move heat from outdoors and bring it indoors. Homeowners are sometimes interested in what makes repairs different between the two systems. We’ll look into this and see where the two stand apart as far as fixing malfunctions. If you need heat pump or air conditioning repair in St. Augustine, FL, come to the experienced team at Climate Masters, where we’ve worked on both since 1988. For the most part, repairing an air conditioner and a heat pump are similar. The compressors, fans, capacitors, and motors work in the same fashion, and replacing these broken components is identical between the two systems. One of the big differences is that heat pumps contain a key component that air conditioners lack: a reversing valve. This device is attached to the line exiting the compressor; as refrigerant leaves the compressor, it first enters the reversing valve. Depending on whether the valve is in an excited or relaxed state (whether an electric current is flowing through it or not), the refrigerant will either move first to the outdoor coils or the indoor coils. If the refrigerant goes outdoors first, the heat pump will operate in cooling mode; if the refrigerant goes indoors first, the heat pump will operate in heating mode. Should the reversing valve fail, it must be replaced or the heat pump will remain fixed in one mode. Air conditioners do not need this repair. Heat pumps can develop frost over either their outdoor or indoor coil due to loss of refrigerant, while an AC will only experience this on its indoor coil. The actual repair work is similar in both cases, however. Another important repair difference: heat pumps work more per year than ACs. If a heat pump is your only method of heating your home, then it will run in both hot and cold weather. With regular maintenance (and a heat pump does require maintenance twice a year, not once) you shouldn’t have too many repairs, but in general a heat pump will have more repair needs than an AC system. No matter what problems afflict your heat pump or air conditioning system, they need a trained technician to fix them. Don’t attempt the work yourself or hand it off to amateurs. For heat pump and air conditioning repair in St. Augustine, FL, you can trust in Climate Masters. We have 24-hour emergency service for your convenience. Posted in Air Conditioning | Comments Off on What Makes Air Conditioning Repair Different from Heat Pump Repair? How Can Dust and Dirt Cause a Need for Air Conditioning Repairs? After a long, hot summer in Florida, your air conditioning system might have accumulated a bit of dust and dirt. Even if you’ve regularly changed your AC’s air filter (something you should do once a month during the peak season), some debris can slip into your ducts or into the air conditioner cabinets. Aside from decreasing the quality of air in your home, an accumulation of dust and dirt can cause the need for professional repairs. For quality air conditioning repair, St. Augustine, FL, residents can turn to the experts at Climate Masters. If dirt is giving your AC grief, we can offer a solution. Contact us today for an appointment. 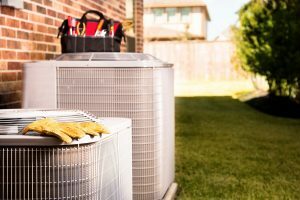 Dirty condenser or evaporator coils: The two coils in your air conditioning system—the condenser outside and the evaporator inside—are vital for the heat exchange that cools your home. If they become dirty, they will lose their ability to absorb and release heat. You may experience a rise in temperature, and your air conditioner will overwork itself to compensate. Cleaning the coils is a difficult process that requires cutting and sealing the refrigerant line, and should be left to trained technicians. Inefficient blower motor: The blower motor that distributes air and helps with heat absorption will start to work at lower efficiency if it becomes too dirty. This reduces airflow and could increase your electrical usage by 50%. The motor must be cleaned, or perhaps replaced if the problem has persisted too long. Clogged air filter: The air filter does the job of trapping dust and dirt and any other airborne contaminants from getting into the interior components of your AC. Without regular changing, an excessively clogged filter will require professional attention because it will impede the flow of air and heighten the risk of extreme damage to motors, fans, and the compressor. One of the best ways to keep your air conditioner free from dust and dirt is to schedule regular maintenance with an experienced HVAC company. Climate Masters offers an excellent maintenance program that gives you two annual check-ups, one for your AC and one for your heater. We aim to give you complete customer satisfaction, so if you want maintenance or air conditioning repair in St. Augustine, FL, make us your first choice. Posted in Air Conditioning | Comments Off on How Can Dust and Dirt Cause a Need for Air Conditioning Repairs?